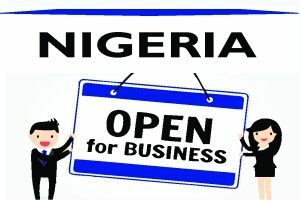 Business Legal Advice: Why You and Your Business Need - Law Firm in Nigeria - Lawyers in Nigeria. As an entrepreneur, you would understand that for you to scale-up your business you will need to ensure it is legally sound and devoid of legal risks and liabilities. This article outlines the need for business legal advice and what kind of professional advisory services is important you obtain from a business lawyer as a strategy for growth and expansion. Business Formation. If you are looking to establish a new business or expanding an existing one, you need a business lawyer to advise you on the best structure that will suit your business needs and future goals. There are four main types of business structures in Nigeria: sole proprietorship; partnerships; incorporated trustees; and companies. Your situation and future goals may require specific advice from a business lawyer. The business structure you decide on will determine the ownership, cost, tax, legal, regulatory and financial risk implications whether in the short term or long term. It is a lawyer that will also help you handle all mandatory pre and post incorporation matters at the Corporate Affairs Commission and design the management structure of your company to suit your interest. Contract Negotiation. A lawyer can prepare and negotiate the contracts you want to sign with private, corporate or government client/customer; and help you respond to contracts that other people will want you to sign. You always want to make sure your interests are protected. A legal agreement prepared by a business lawyer is worth every kobo. It will offer you better protection and fewer issues with your clients/customers. Fixed Assets and Real Estate Acquisition. Acquisition of fixed assets, real estate or leases of commercial spaces such as offices or warehouses may be fraught with problems and costly errors that could place your interest in jeopardy. It is vital to get advice when you are acquiring fixed assets, real estate or signing a rental agreement for your business premises. You are at risk for fraud, unfair terms, and hidden charges. A solicitor can investigate the title of the vendor/lessor on your behalf and draw up a sale/lease agreement containing clauses that protect your interest. Debt Recovery. If your attempt to recover payment from a debtor for overdue debts has not yielded any meaningful result; the bold step to take is to consult a lawyer. You must not resort to self-help or use the police to intimidate the debtor – as the court frowns at extra-judicial measures at debt recovery. Failure of debtor to liquidate any overdue debts is a civil wrong and not a criminal offense under the law. Your debtor may successfully prosecute an action for his fundamental rights enforcement and for the award of punitive compensatory and monetary damages against you, which may by far exceed the outstanding sum of debt you are claiming. So, always talk to a lawyer! Legal and Regulatory Compliance. Nigerian business laws are complex and complicated, and so is the language used in those legislations. Smart entrepreneurs use solicitors as business advisers and compliance officers. You can’t claim ignorance of the law as a defense in any civil or criminal action, and you can’t also understand every facet of the law. What you need is expert attention from a business lawyer to avoid costly mistakes and legal liabilities. Tax. A business lawyer has expert knowledge on the tax consequences of your business transactions and can advise you on how to minimize such liabilities or how to benefit from tax exemption and tax avoidance which are legitimate ways of eliminating tax obligations. A lawyer can register your business with federal and state tax authorities for compliance. Business Guidance. You need to have bespoke business agreements in place that will pin down your commercial relationship with partners, employees, contractors, investors or shareholders; and to forestall future conflicts of interest. A business lawyer can structure agreements and terms of trade that will limit your liability for damages or losses caused by your goods or services. 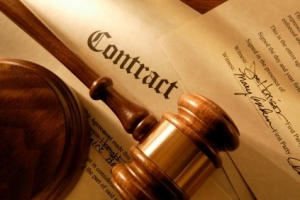 This can save you from legal liabilities, court action for breach of contract or action for damages. Intellectual Property Protection. You will require the services of a business lawyer to register and protect your proprietary rights, patents, copyrights or trademarks. Registration of intellectual assets can afford you a competitive advantage in the marketplace and protection from infringements. A business lawyer can structure the licensing protocol and enforceable restrictions to your intellectual property or technology transfer. Employees & Antitrust Issues. A Solicitor can structure confidentiality, non-disclosure, non-solicitation, non-compete and antitrust agreements for you to sign with your employees to prevent them from leaving your business or school to join a competitor. Your trade secrets and employees’ talents are important assets you must guard against competitors if you want to have an edge in your industry or advantage over your competitors. A lawyer can advise you on labour regulations that have direct legal consequences on your business. Loans & Mortgages. Obtaining a credit line for your business through loan acquisition or creation of mortgage may be an effective tool for growth and expansion. However, care must be taken to avoid any unfavorable arrangement that could lead to bankruptcy and insolvency. Always seek legal guidance from a business lawyer before obtaining any credit facility or when negotiating a debt restructuring. Environment Protection. If your line of business requires compliance with environmental regulations for sustainability, you risk sanctions from regulators where there is non-compliance. Such sanctions may threaten the survival of your business. You need legal guidance to understand all associated risks or to negotiate a settlement when they occur. Execution of Administrative Obligations. Depending on your line of business, there are mandatory obligations under relevant laws that you must fulfil to avoid sanctions. For example, you must submit annual accounts and tax returns to the Federal Inland Revenue Service (FIRS). You must also file a statement of affairs or annual returns with the Corporate Affairs Commission (CAC). You risk a fine if you miss deadlines or submit incorrect information. There are a number of other statutory obligations under legislation such as Companies and Allied Matters Act, Labour Act, Insurance Act, Pension Reform Act, etc. that you must comply with to avoid a civil or criminal summons. A business lawyer can advise you and help you perfect these administrative obligations. Exit Strategies. Even if it is acknowledged that a business will succeed, there may be circumstances that could lead to unprofitability and failure which may be impossible to predict at outset. A well-structured business should have a buy-sell agreement, buy-back agreement or termination rights. You would want to have satisfactory termination agreements in place before unfavorable situations occur, especially if you are a minority shareholder. A smart business lawyer can structure triggering events for you, inserting clauses for right of first refusal; put right; call right; tag-along right or drag-along right – depending on your shareholding position in the company. For example, a tag-along right would ensure you can sell your interest without legal entanglements or financial burden when a principal partner or major shareholder decides to exit the company. This is a protection you would want to have in order to avoid the possibility of being left in a company that no longer has the same prospects. Being a smart entrepreneur or investor entails being proactive. Don’t wait until you are faced with legal risks and liabilities; or become affected by a poorly negotiated agreement; or served with a civil or criminal summons before you request legal help. A business lawyer can identify potential problems before they happen and help you understand your options and make the best decisions about the complexities of legal processes concerning business. It is recommended that you consider a special retainer arrangement for business legal advice to avoid untoward occurrences which may threaten your commercial interests. For case review of your business’ legal needs, request consultations at +2348187019206, 08039795959 | Email: edoabasi.udo@lexartifexllp.com | Website: www.lexartifexllp.com/consultation. EDOABASI UDO is a Business Lawyer and Transaction Adviser at Lex Artifex, LLP. The permission given to freely copy this article is only on the condition that BARR. EDOABASI UDO is referenced and duly acknowledged as the Author using the following format: “This article was written by Barr. EdoAbasi Udo. View the original article at http://lexartifexllp.com/business-legal-advice/”. Note that any copyright infringement shall be punishable under applicable law.